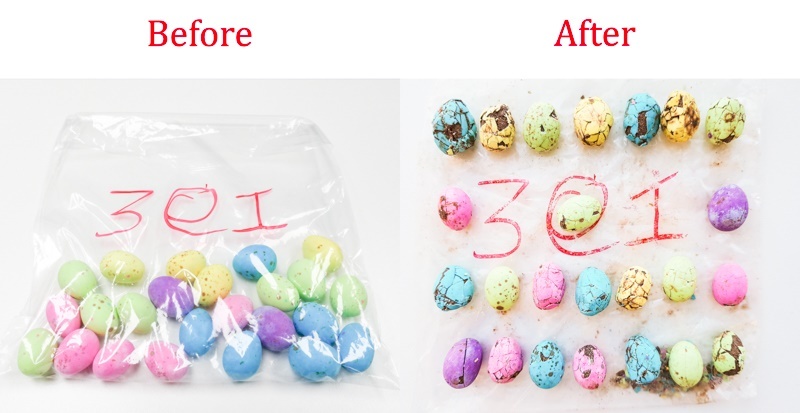 We tried five different from-the-counter couriers to see who could deliver chocolates eggs the fastest – and the safest. The winner was the very last one we would have expected. Seriously. We couldn't believe it. 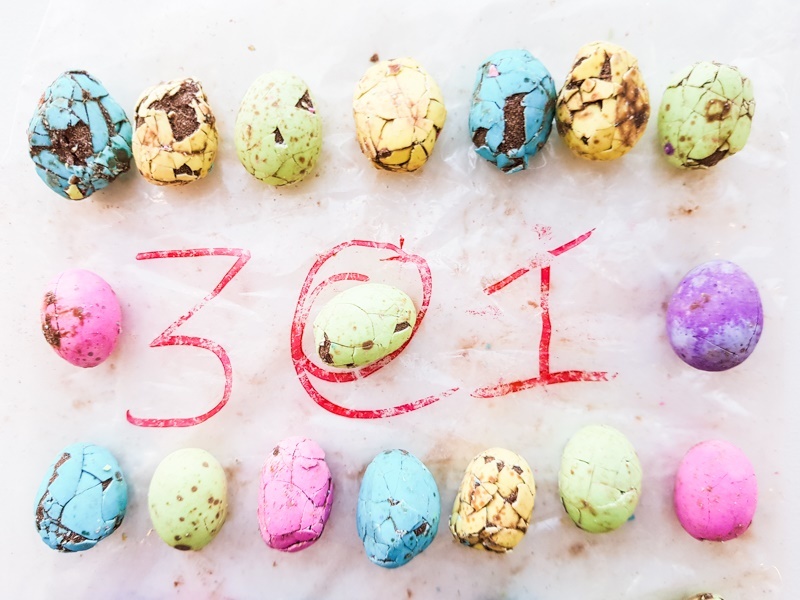 Warning: chocolate eggs were harmed in the making of this article. In many countries the national post office would be your standard go-to when it comes to sending stuff from one side of the country to the other. In South Africa, not so much. The service provided by the South African Post Office has something of a bad reputation, and as a result many alternatives have sprung up. These have the opposite reputation: of efficient, reliable and convenient service delivery. But that may not be accurate, our testing has shown. 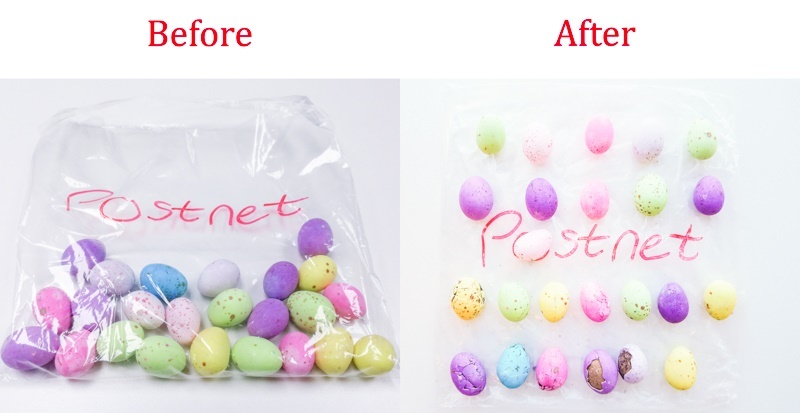 We decided to put five cheap high-speed couriers to the test, sending boxes of highly fragile mini-chocolate Easter eggs from Johannesburg to Cape Town. We wanted to determine who could deliver promptly, the most cost-effectively – and most importantly who would keep our precious cargo intact. In our race were courier services offered by Aramex (from Pick n Pay stores), Paxi (via Pep stores), 3@1's courier service, PostNet, and the Post Office's Speed Courier. All offer counter-to-counter services that typically cost around R100, except Aramex, which is counter-to-door. All parcels were strictly identical and packed exactly the same, with no "fragile" or similar warnings. 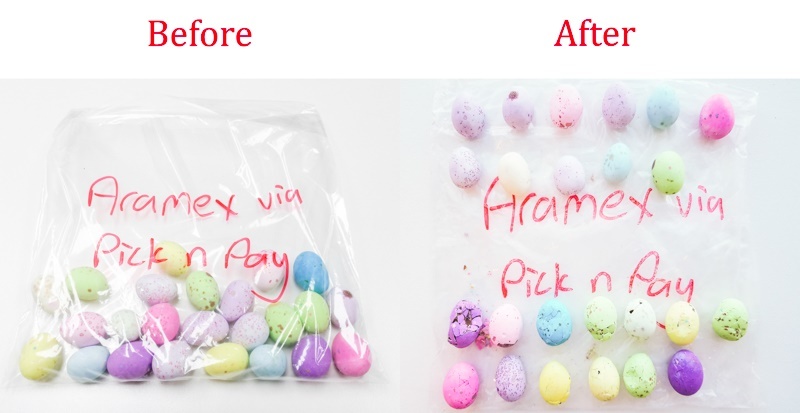 There can be a lot at stake when you put your trust in a courier to deliver a package, especially when it rides on delivering tasty chocolate eggs for our sweet toothed staff. Here is what happened when we did just that. To use the Aramex service you walk into a Pick n Pay, buy a sleeve, pop in your goods, and post it in one of the collection bins provided. It's as fast and easy (or not) as the service at your local Pick n Pay. Aramex delivered right to our offices in Cape Town; it doesn't offer a counter-to-counter service, only counter-to-door. In general, the box looked in good condition barring some minor shell fragments which escaped the bag. Of the 24 eggs we packed in this box, 13 did not survive the journey. The package was dropped off at our reception, with no ID required. Aramex via Pick n Pay was the second-fastest to deliver – but with over half our precious cargo cracked it is a risky venture. 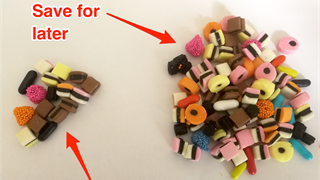 Paxi is convenient because it will send your package from any Pep store to any Pep store – and you don't have to go very far in South Africa to find a Pep store. It is not necessarily fast, but for sending to or from rural areas it could be a lifesaver. 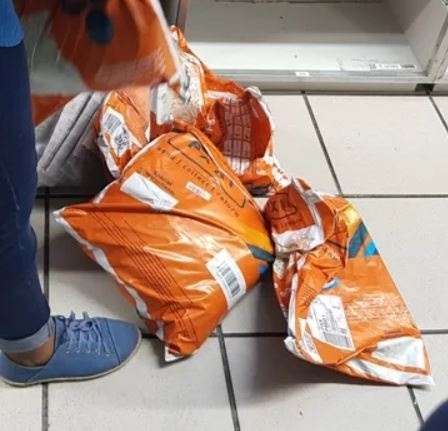 We dropped the eggs at our nearest Pep in Auckland Park, Johannesburg, and they were delivered to our closest Pep store, at Golden Acre shopping centre in Cape Town. The entire courier service is run from an app, which scanned your ID as proof of collection. The system was efficient at both sides. 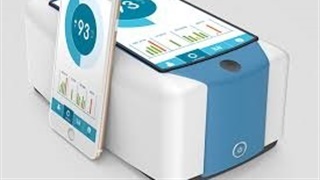 The sender was sent information about the delivery via SMS, which made liaising to pick up the package a bit of an issue as a PIN number (sent to the senders phone) is required in order to pick up the cargo. Basically, sender and recipient have to be in contact or things can go wrong. We did not love the way the parcels were stored. While the storage was questionable, it did not seem to make much of a difference to the overall condition of the box, which seemed in good shape. But that was superficial. 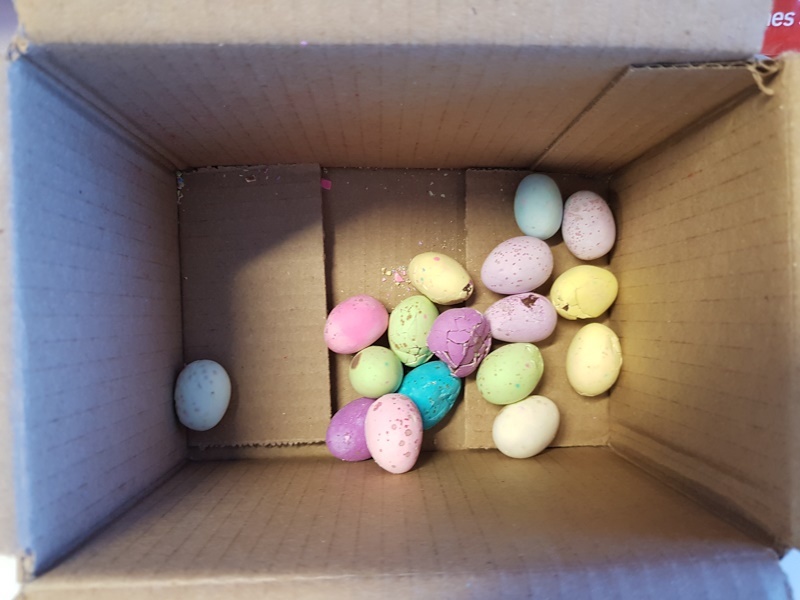 Inside the box of the 22 eggs we sent down, 13 were broken – and the eggs themselves looked melted. Of the 24 eggs delivered 13 did not survive the journey unscathed. On the positive side, Postnet provided great and quick service on both ends. It was the only company to have contacted our collector via SMS and sent reminders to come and collect the package. ID was required for verification on collection. Delivery time: We're not quite sure. Egg survival rating: 100% did not survive. Our experience with 3@1 was less than satisfactory on every level. Of the 24 eggs we sent, not one was left unscathed. The eggs were badly crushed and melted to boot. Whereas the other parcels were delivered to centres close to our offices, this parcel was delivered to Goodwood, a 15-minute drive away from our offices – the closest one we could find after an interminable search during the sending process. We were unable to determine when the package had been delivered as the tracking number showed an error. According to their system the waybill existed but there was no "data" concerning its whereabouts. When speaking with staff in-store they said they had phoned our collector once the package arrived, but our collector has no record of calls from their office number. 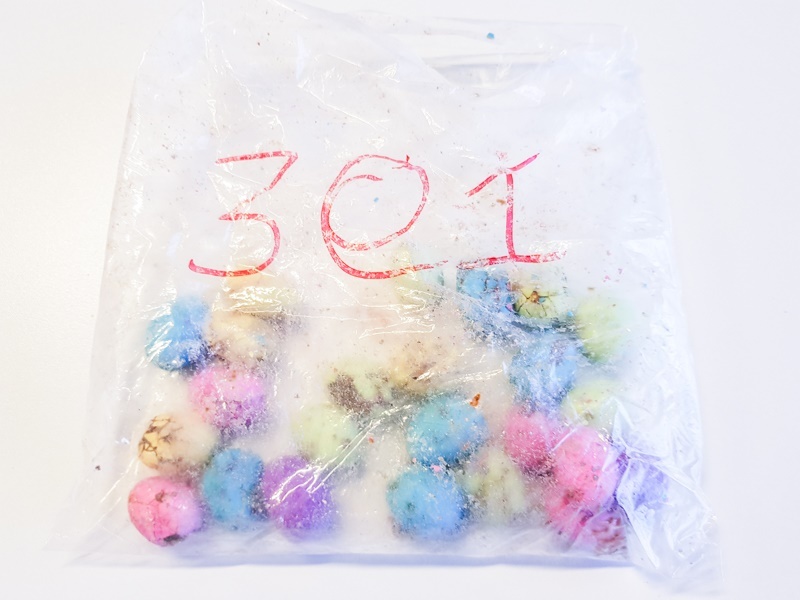 We're not even entirely sure just how 3@1 sent our package. Our sending waybill suggests it was to be couriered by Dawn Wing. 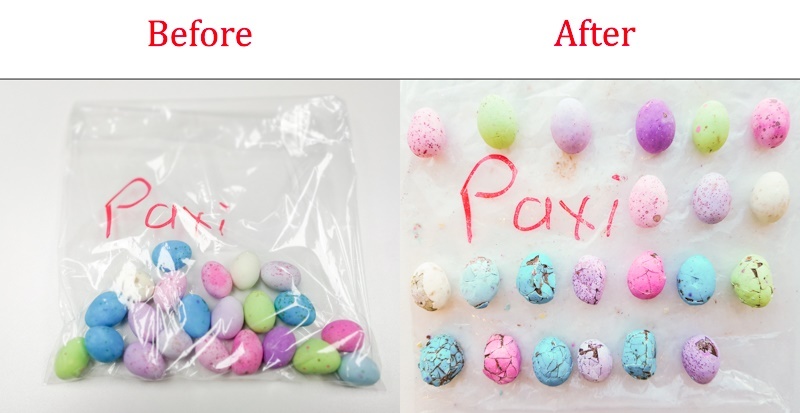 Our candy-craved staff ate the eggs nonetheless, but nobody was really happy about it. 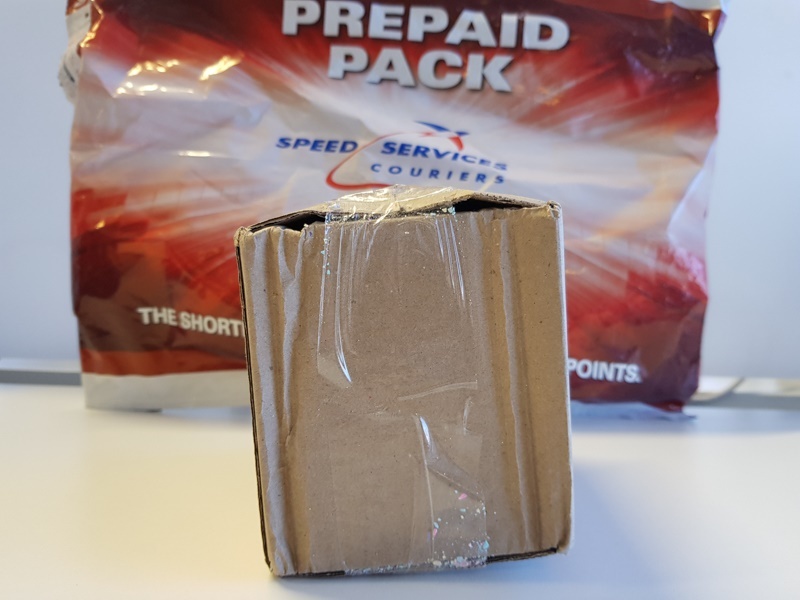 The surprising winner – against all expectation – was the South African Post Office's Speed Services courier. 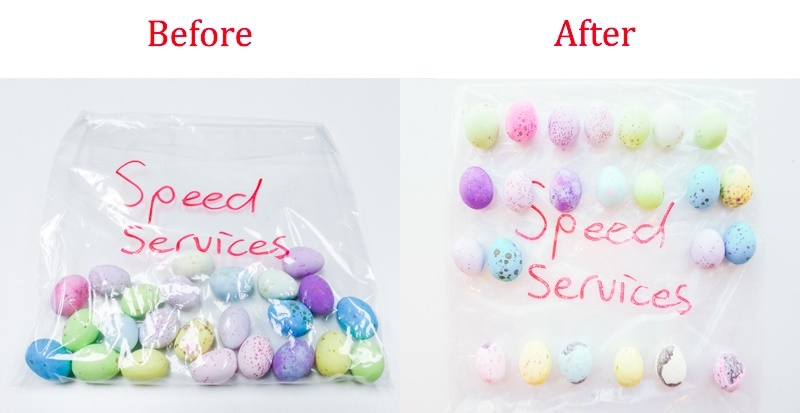 The Post Office's in-house service, Speed Services was – and we're not making this up – the cheapest, the fastest, and the most gentle on our eggs. Service at the sending counter wasn't particularly fast, but it wasn't outrageously slow either. And there is a Post Office pretty much everywhere. 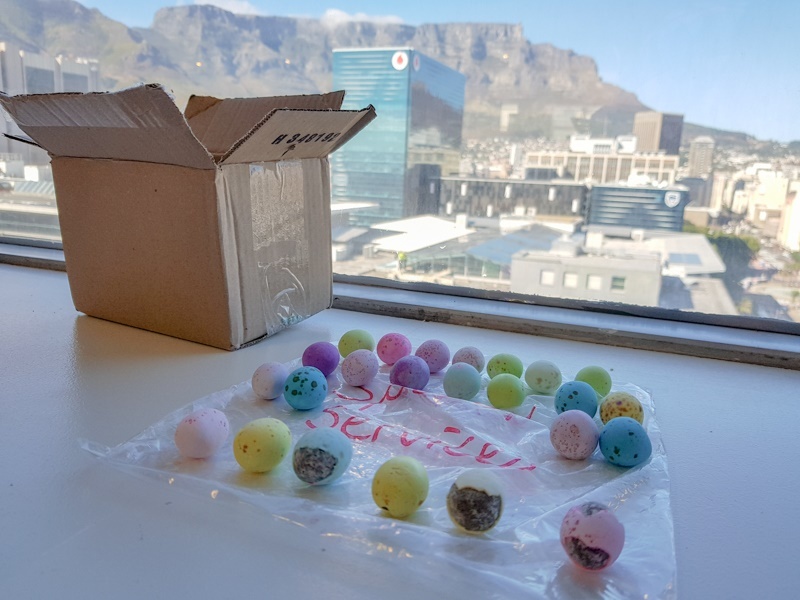 Of our 24 eggs we sent to the Cape Town Central Post Office, six did not survive the journey. An impressive 18 survived unharmed and in pristine condition ready to eat, far beating any other service. Beaten and broken. Post Office. One downside of the service is that the Post Office does not send an SMS upon delivery. Recipients will only know if the their package is delivered if they follow the tracking number or wait for the notification slip to arrive in their postbox – which still hasn’t arrived in our collectors mail, three weeks later. ID is required upon collection. Conclusion: well, the Post Office takes it. Warning: eggs were harmed in the making of this article. While it's a tragedy that any egg should need to be sacrificed for the sake of the consumer, when sending a package on the cheap, your best bet is to rely on the good old Post Office. And we have (well, had) the eggs to prove it. * This article has been updated to remove a reference to DHL. 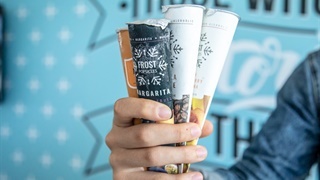 While the courier's signage appeared at the 3@1 outlet, the company confirmed to Business Insider SA that it was not responsible for the delivery.